Incredible news of a LOST recording of C.S. Lewis was mentioned as part of an upcoming interview with Dr. Hal Poe about An Inklings Week in Oxford. During the conversation it was revealed that Christianity Today will soon post an article about Hal's discovery of a previously unknown recording C.S. Lewis did before his radio talks on the BBC. When the article for Christianity Today post I'll post a link below. Also, be sure to catch the entire interview with Hal (and guest Dr. Don King) about the retreat in Oxford where you can hear the actual recording that was found. 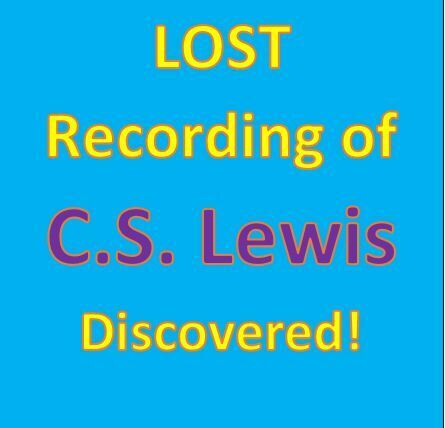 Listen to the portion of the interview about the lost recording in this special advanced excerpt.